There are concerns cited by the 2015-2016 Grand Jury report about my representation of the community’s concerns with a proposed development adjacent to my home. Prior to my election to office, an out of town investor purchased a historic Victorian house next to my home with the stated intention to rehabilitate it. The neighbors welcomed the promised renovation of the home and volunteered to keep watch over the site. The neighbors became alarmed when the investor suddenly demolished the building under suspicious circumstances and proposed to build a motel-style structure in its place. Several neighbors reached out to the Planning Department to express their concerns BEFORE the project was approved but were unable to get a response before the planning staff issued an approval. In their frustration, like any other resident, they reached out to their councilmember for help to get their concerns addressed as is their right. In response, I asked my senior staff to inform me of the approval process that the neighbors should use and at the same time consulted with the City Attorney’s Office on the proper way to support my neighbors in their petition. Since this matter would not be appealable to the City Council, the attorney advised me to follow the same appeal process that any Oaklander would follow. I did not behave unethically or attempt to use my office to influence the outcome. To ensure that city staff would not feel intimidated by my presence or feel any pressure, we engaged the support of an independent consultant to interact with the staff. My neighbors and I experienced the same disregard and indifference that has become painfully characteristic of how tenured West Oakland residents are treated. Too often, as happened in this matter, our concerns are routinely ignored by staffers who prefer to push poor quality projects through without following the City’s own processes. Despite raising serious concerns about violations of process, inconsistency with the City’s General Plan and failure to comply with our current law, the 32nd Street neighbors lost our appeal and we still live next to a blighted vacant lot that is poorly maintained. The City Council is required to respond to the Grand Jury report. In order to avoid a conflict of interest, I am asking President Pro Temp Larry Reid to take the lead in the City Council’s response. 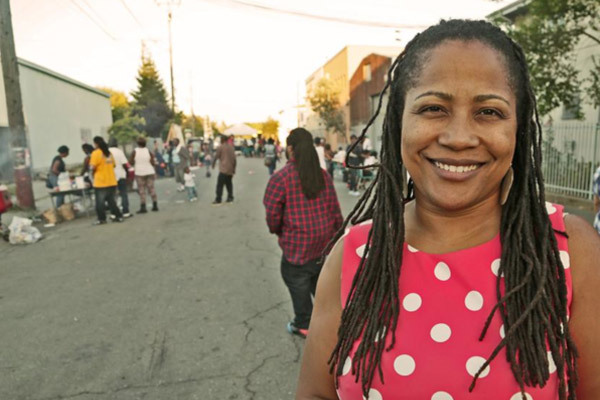 Oakland City Council President Lynette McElhaney can be reached at LMcElhaney@Oaklandnet.com. Her chief of staff, Zac Wald, can be reached at ZWald@Oaklandnet.com.